I have a passion for teaching. Ask anyone who's ever encountered me at a photographiuc event. I'm that guy handing out tips and answering questions. In my opinion, sharing knowledge is what strengthens our industry and encourages active participation in our shared passion. 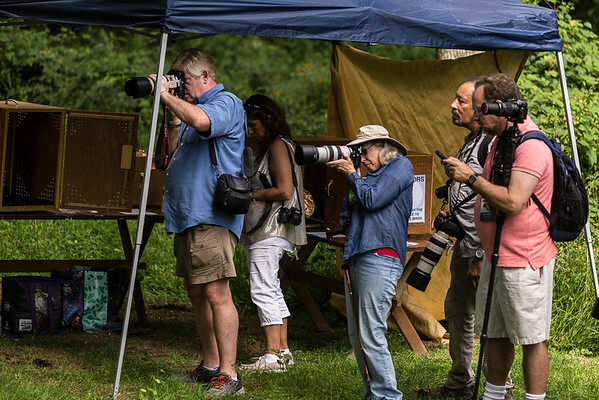 While every camera club and meetup group has different needs and social structures the one thing they all share is a thirst for knowledge that will help their members get better results. My background and experience allows me to create presentations on many topics. What topic can I present on? As you can see from the menu at left, I have many prepared topics. While these are the more commonly requested topics, I will be more than happy to customize a presentation, demonstration or workshop around just about any topic regarding photography. These are just examples of more advanced topics than the list at left. I hope it gives you some idea of the types of topics that can be suggested for your next meetup or monthly meeting. I am quite comfortable presenting to small or large groups. For keynote presentations, I can make my notes available to the members as take home material. Sometimes it's nice to just be able to open up the room to general Q&A. This allows members to ask those questions that may not be otherwise answered during a programmed event. Specially those just coming into photography who have so many questions that need answering. Roundtable, or open Q&A sessions are a great way of getting members involved and energized. Another area where a photographer can grow is by the analysis and critiquing of images. I have been a long time member of several online photography communities where peer to peer critiquing has been a tool to advance the art and technique of the photographer. Again, my experience in both the world of illustration and photography has given me the language skills to analyze and objectively critique images. A whole evening can be built just on the critique process alone. While many clubs and meetup groups have some basic equipment available to them, I have my own presentation equipment if needed. Although modern LCD screen technology is the most ideal, not every club has large monitors to display on. For those situations I do have a projector and projection screen. For rooms with monitors, I come prepared with my presentations on a laptop that can easily plug into any HDMI port. If you need a presenter on short notice, my current schedule allows me plenty of flexibility to present on any of the topics I currently have prepared. Customized topics not currently listed will require some lead time. If you have an upcoming time slot you need filled, please contact me in advance so I have time to adequately prepare my material to your club's needs. I understand that most clubs and meetup groups operate on a very limited (or non existent) budget. For local clubs I am willing to work within your means. One practical solution is to collect a nominal "donation" from the attendees rather than trying to cover a flat fee. This eases the burden of the club treasurer and most members can easily afford the entry fee. Clubs and groups at a further diving distance will require additional travel costs. I will be more than happy to discuss suitable solutions for your club or meetup group.